Brand Focus #5: Groupon in Malaysia – Friend or Foe for Your Business? It has been a couple of months now since Groupon officially came into Malaysia by acquiring GroupsMore.com and many businesses have hopped unto what I call the Groupon hype – a similar scene happening around the world. Businesses go on Groupon for marketing purposes, to draw crowd or bargain hunters to their store / outlet and hopefully translates into future sales (click here if you’ve never heard of Groupon before). I managed to talk to two different business owners recently and we somehow got to the topic of Groupon and it would seem that they both have been badly ‘pinched’ by Groupon. 1. Their business actually experienced losses. Groupon deals attracts the crowd, that’s for sure. If your products already have low margins to begin with, you may experience losses – especially when the crowd pours in for your awesome deal. 3. Your existing customers (that may not be on Groupon) will also want discounts because of the awesome deal you’re already giving to others. 4. On top of that, the customer retention rate is said to be very low, at about 5% – 10% and in some cases it still does not make up to the ideal margin. While the above may not be true for every business out there, many have experienced the negative affect of Groupon which led me to think - is Groupon really that bad of a business / marketing model to adopt? Understand this before proceeding: while every business can use Groupon, not every business should use Groupon. The reason is simple – if your business operates on very low profit margins, you’ll definitely end up with a loss – especially if you’re a small business without any marketing budget set aside. Know how much of a margin you’re able to spare (and survive), even if there’s a large crowd. Set the group discount rate at a level in which you’re comfortable at and yet remain attractive. This applies best to the service industries. Know when are your peak and off-peak seasons or timings in a day. ‘Sell’ your off-peaks cheaper in return for crowd. This is where Groupon can truly shine – put in terms and conditions specifying that the offer / deal will only work during specific timing of a day (e.g. 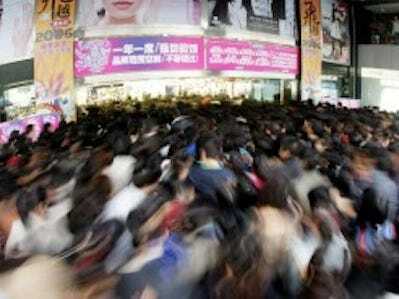 3-5pm) to boost sales rather than not making any sale during the off-peak hours. Use the crowd to your advantage – show them what you’re able to offer even when you’re under pressure. Whether it is customer service or food preparation, make sure you’re showing your customers the best you can offer. This is the time to give them a reason to come back for more! Don’t let them leave empty handed! Give them something in return to invite them to come back for more. Something along the lines of “bring a friend on your next visit to enjoy a similar treat” can do wonders. Retention rates are low because businesses do not give the customers sufficient reasons to stay. So why let them leave empty handed? Make use of the crowd to spread the news! Snap pictures, tweet away, launch a Foursquare special and create buzz across existing social media platforms. Customers are drawn to crowd and if you are already attracting one, let them know you have one! This is the most important of all – always ask for feedback from your customers so that you’ll know what went wrong / right to do better in your next Groupon deal. Offer as many feedback options as possible – through Twitter, Facebook, contact forms or emails and be sure to respond to everyone of them positively. Have you used Groupon for your business? How did it work out for you? How else do you think Groupon can benefit businesses? Agree with your groupon blog post. We have to know how to manage it, otherwise it kills business faster than any strategy. I have a series of groupon posts as well and continue blogging about groupon.